Pravastatin (Pravachol) is a statin-class medication produced and distributed by Bristol-Myers Squibb for the purpose of helping prevent coronary and cardiovascular events, and in treating hyperlipidemia. Regular use of Pravastatin (Pravachol) reduces low-density lipoprotein by up to 36%, offers a 31% reduced risk of cardiovascular incidents and a 37% reduced risk of having to have a revascularization procedure such as coronary bypass surgery. Pravastatin (Pravachol) is only available by prescription, and the guidelines for prescribing state that your doctor should work with you over time in order to determine the lowest possible dose that still gets the job done. Like any other statin drug, pravastatin is not a "bigger dose is better" drug. Pravastatin (Pravachol) should not be taken by pregnant or nursing moms, people with active liver disease, or people with unexplained elevations in blood-levels of liver enzymes which could indicate liver problems. People who have kidney problems need careful monitoring while on Pravastatin (Pravachol), because some of the drug is removed from the body by the kidneys. If the kidneys aren't working well enough, a high level of the medication could build up in the blood. Considering that the chance of truly unpleasant side effects from Pravastatin (Pravachol) goes up with higher blood concentrations, a buildup due to kidney malfunction is not a good thing. Pravastatin (Pravachol) has also been rarely found to contribute to liver problems. Unlike every other statin class medication, I couldn't find a published time frame on when liver problems could start, so people taking pravastatin need to have liver function monitored regularly the entire time they are taking the drug. No problems have been found in giving pravastatin (Pravachol) to any given race or to senior citizens. Pravastatin (Pravachol) has also been tested on children as young as eight years of age, which gives it a significant advantage over atorvastatin (Lipitor), simvastatin (Zocor), fluvastatin (Lescol), lovastatin (Mevacor, Altocor), and rosuvastatin (Crestor), none of which can be given to children who haven't gone through puberty. While most children don't suffer from high cholesterol, getting the hypercholesterolemia genes from both parents can give some kids serious problems with their cholesterol levels. If a child starts on Pravastatin (Pravachol) to fight high cholesterol levels, he or she needs to be re-evaluated as childhood and adolescence progresses in order to keep the dosages at the correct level. Pravachol contains pravastatin, croscarmellose sodium, lactose, magnesium oxide, magnesium stearate, microcrystalline cellulose, and povidone. The 10 mg tablet of Pravastatin (Pravachol) also contains red ferric oxide, the 20 and 80 mg also contain yellow ferric oxide, and the 40 mg tablet also contains Green Lake Blend, which has D&C Yellow No.10 Aluminum Lake and FD&C No. 1 Aluminum Lake. This ingredient list is only good for the brand name version of the medication. If you get a generic version, that company may have used different inactive ingredients in order to make the tablets. If you're allergic to any component of Pravastatin (Pravachol), you shouldn't take that medication, which is why we list them all here. How long does Pravastatin take to work? Pravastatin (Pravachol) hits its peak concentration in the circulation about one to one and a half hours after taking it. In contrast to the other statins, which usually take about 48 hours, pravastatin (Pravachol) takes about a week to completely clear out of the system. Pravastatin (Pravachol) can be taken either in the morning or the evening, although evening dosing works slightly better to decrease LDL-C.
Pravastatin (Pravachol) starts having a therapeutic effect in about a week after starting regular doses and takes four weeks to build up to maximum therapeutic effect. This means that Pravastatin (Pravachol) has about a week headstart on every other statin except for rosuvastatin (Crestor). Pravastatin (Pravachol) should not be taken with probucal (an anti-oxidant under investigation), gemfibrozil, HIV protease inhibitors, erythromycin, telithromycin, fenofibrate, amiodarone, or verapamil. If you're taking one of these medications, you may want to look at any other statin except for atorvastatin (Lipitor), which doesn't get along well with anything. Of course, each statin drug has its own, special profile of what it works with, what it doesn't, and what it can work with under special supervision. These drugs in particular are either known to cause myopathy and/or rhabdomyolysis on their own, or have been shown to increase blood levels of pravastatin (Pravachol) to the danger point. You can take pravastatin (Pravachol) with diltiazem, warfarin, cimetidine, and cyclosporine without worrying about too much trouble. If you're willing to watch your levels carefully and work with your doctor (which you're doing anyway, right?) then itraconazole, ketoconazole, danazole, nefazodone, and fluconazole might be ok to take with Pravastatin (Pravachol). Antacids, cholestyramine and colestipol are ok as long as you don't take them at the same time as pravastatin (Pravachol). Split them up by at least four hours either way and they don't affect each other. Pravastatin (Pravachol) carries the same side effects as the rest of the statins. Whenever you take any given drug, it may affect you with different side effects than even another drug in the same family, so it's important to analyze carefully and find the right one specifically for you. This analysis takes place both before you start on a new medication and after. Before you start Pravastatin you make sure that you've eliminated all of the secondary causes of high cholesterol, such as bad diet, alcoholism, uncontrolled diabetes, hypothyroidism, obstructive liver disease, kidney problems, and high cholesterol brought on by therapy from another drug. 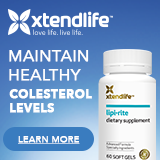 In addition, pravastatin (Pravachol) is only for high cholesterol levels caused by high LDL-C. Elevated high density lipoproteins can be a problem as well, although it's far more rare, and this is not the drug to treat high cholesterol caused by extremely high HDL-C. Overdose information on pravastatin (Pravachol) is not readily available. Well, like most prescription drugs, Pravastatin (Pravachol) can do nasty things to animals when given in hideously high doses over a period of time, but that doesn't help humans who are wondering if their child who just swallowed half the bottle is going to have a problem. The best thing my Physician's Desk Reference, 2006 Edition has to say about it is to get the person who overdosed to a hospital quickly, treat the symptoms as they appear, and do a lot of laboratory testing to determine cholesterol levels, liver enzymes, and kidney function. In the interests of keeping you safe, the following is what each dosage of Pravachol is supposed to look like. Keep in mind that, again, this is just for the brand name and a generic form of pravastatin WILL look different. This is listed here in order to help you make sure you've gotten the right dosage of the right medication in your pill bottle. Pharmacy technicians are people who make mistakes like everybody else, trust me on that score. The 10 mg tablet of Pravachol is a pink to peach, rounded, rectangular shaped tablet with "P" imprinted on one side and "PRAVACHOL 10" on the other side. The 20 mg tablet of Pravachol is a yellow, rounded, rectangular shaped tablet with a "P" imprinted on one side and "PRAVACHOL 20" on the other. The 40 mg tablet of Pravachol is a green, rounded, rectangular shaped tablet with a "P" imprinted on one side and "PRAVACHOL 40" on the other. The 80 mg tablet of Pravachol is a yellow, oval shaped tablet with "BMS" on one side and "80" on the other. Why did they make the 80 mg tablet look so different? I don't know, it's marketing I suppose. In order to keep pravastatin (Pravachol) from breaking down over time, store it at 25 degrees C (77 degrees F), with excursions permitted to 15 to 30 degrees C (59 to 86 degrees F) and protect it from light and moisture. Excursions permitted means that if you leave Pravastatin (Pravachol) out overnight in a house with variable temperature, it'll be fine. However, don't leave Pravastatin (Pravachol) in your refrigerator or on a windowsill at summer. Also, don't leave the cap off and don't store it in direct sunlight - protect Pravastatin (Pravachol) adequately from light and moisture. Pravastatin (Pravachol) is offered on the market as a statin drug because it offers some unique properties. While Pravastatin (Pravachol) isn't the most hands down effective statin out there, it can work with some medications that other statins can't. In addition, Pravastatin (Pravachol) is the only statin tested and proven to work safely on children younger than 10. While most kids won't ever have to worry about it, those children who do suffer from childhood high cholesterol were lucky when this drug tested well for them. Of course, because Pravastatin (Pravachol) works well with some medications that other statins don't, it has its own unique interaction quirks to watch out for. Like any medication, pravastatin is unique and should be prescribed only by doctors who are quite familiar with it. If your doctor prescribes this medication for you and doesn't suggest regular monitoring, feel free to bring up your concerns. If your doctor dismisses your concerns about Pravastatin (Pravachol) out of hand, find a new doctor. Pravastatin is one of the more versatile statins, but it's still dangerous just like every other prescription only drug, and should be used respectfully and well.